As of this writing, this year’s East Lansing Film Festival schedule of films and events has yet to be announced, but last year’s winners included Jason Schaver’s “Wingmen Incorporated” for Best Feature Film, Alex Agnant and Joseph Ward’s “When The Waves Call” for Best Short Film, Jason Kohl’s “The Slaughter” for Best Student Film, and Sophia Kruz’s “A Space for Music, A Seat for Everyone: 100 Years of UMS Performances in Hill Auditorium” for Best Documentary Film. 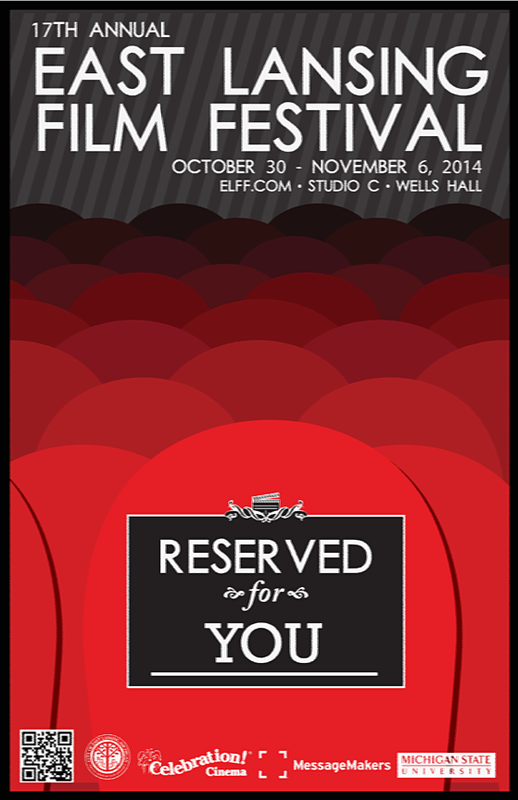 So, whether you’re an avid film buff or just a casual, popcorn-chomping, movie-goer, the 2014 East Lansing Film Festival has something for you! The English Inn Restaurant & Pub in Eaton Rapids is but a half hour’s drive from Lansing, Michigan – yet it is worlds apart. The lush beauty and stately warmth of your room at The English Inn Restaurant & Pub will treat you to a level of comfort, service, and surroundings now largely unknown in the busy, throw-away hustle of our modern lives. This time, why not treat yourself to something truly special? Stay at The English Inn Restaurant & Pub.